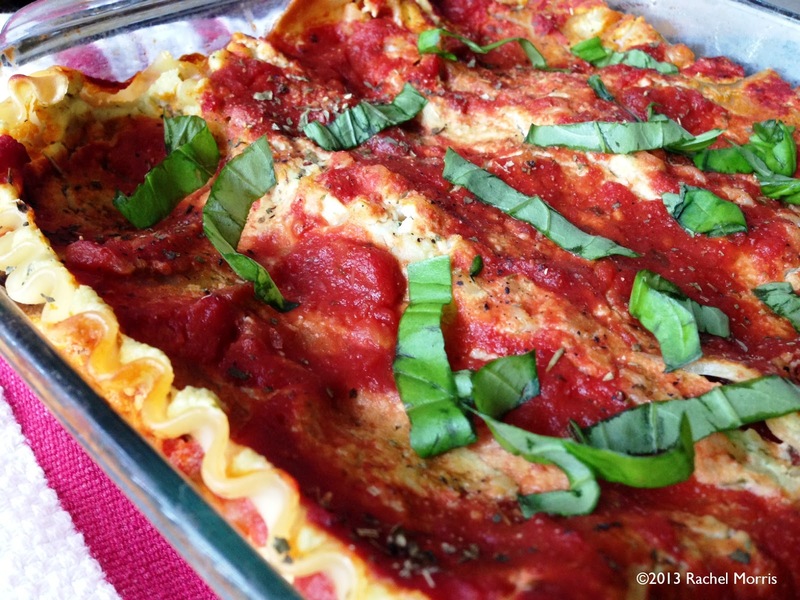 Yep, this lightened up, healthy lasagna is vegan but you really won’t miss the cheese, I swear. I know because I always loved cheesy baked pasta dishes so I if I was going to create a cheeseless lasagna, it had to be good. I skip using any type of packaged vegan cheese on this because I’m really picky about how I use those and I wanted to preserve the other flavors going on here. Of course you can always switch up the veggies based on what you like or have on hand. One important tip, do pick a good quality pasta sauce if you don’t make your own. I love Rao’s, Marinelli’s, and Paesana sauces. Add all the basil ricotta ingredients to a food processor and process until it all comes together. Set aside. Heat a large skillet over medium heat and add a few tablespoons of broth, just enough to barely coat bottom of the pan. You don’t want too much liquid because you want the veggies to brown a bit. Add portobello, bell pepper, and onion. Cook 5 minutes stirring occasionally. Stir in broccoli and garlic and, adding a little more broth as needed. Cook 3-4 minutes longer or until liquid has cooked off. Season with salt and pepper to taste and set aside. 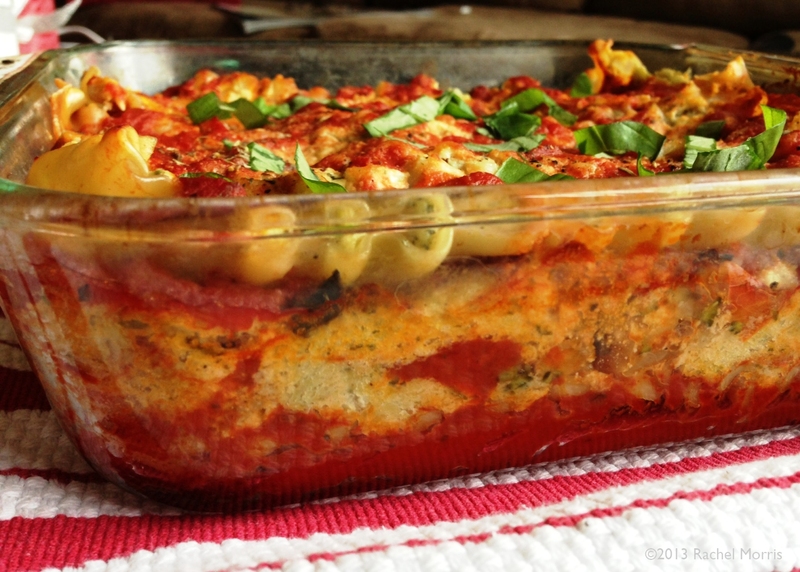 Assemble lasagna: (note: you will have to trim noodles to fit and you may not use them all). Coat bottom of a 8 or 9 inch square baking dish with some of the tomato sauce. Add a layer of lasagna noodles, spread 1/3 of the ricotta on the noodles, top with half the veggies. Spread 1/3 of remaining sauce on top. Repeat with another layer of noodles, ricotta, veggies and sauce. Now top with the last layer of noodles, ricotta and sauce. Cover with foil and bake 35-40 minutes. Heat the oil in a large pot over medium-high heat. Add the onion, carrots, celery, garlic, Italian seasoning, salt and pepper, and cook stirring occasionally until the vegetables are tender, about 5 minutes. Add tomatoes with juice and mash slightly with potato masher or back of a spoon. Add broth and bring to a boil. Reduce to a simmer and cook for 30 minutes. 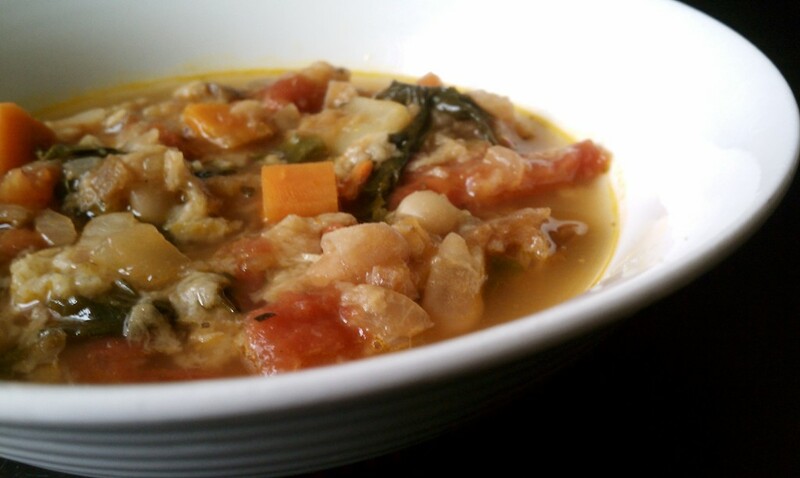 Stir in kale, beans, basil, and bread, cook additional 10 minutes and remove from heat. 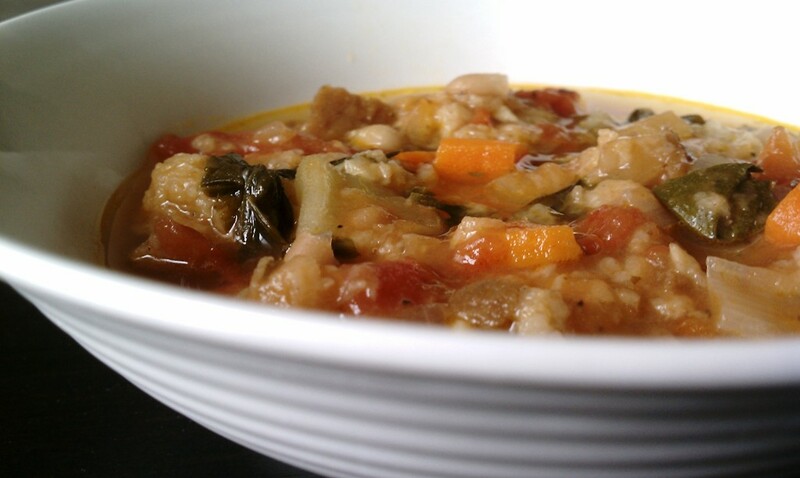 Recommended to let it sit for a few hours before serving as this allow the soup to become even more flavorful. Tip: If you’re planning on freezing, leave the bread out and just add it in when you plan to serve. You can also leave the bread out all together and it’s still a delicious soup!